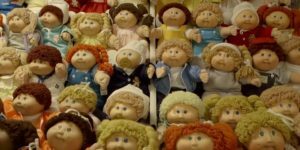 Xavier Roberts was a ten-year-old boy who discovered the Cabbage Patch Kids by following a BunnyBee behind a waterfall into a magical Cabbage Patch, where he found the Cabbage Patch babies being born. To help them find good homes he built BabyLand General in Cleveland, Georgia where the Cabbage Patch Kids could live and play until they were adopted. BunnyBees are bee-like creatures with rabbit ears they use as wings. They pollinate cabbages with their magic crystals to make Cabbage Patch babies. Colonel Casey is a large stork who oversees Babyland General Hospital. He’s the narrator of the Cabbage Patch Kids’ story. Otis Lee is the leader of the gang of Cabbage Patch Kids that befriended Xavier. Not everything in this world though has such a pure and virtuous evolution story. Take, for instance, the origins of company policies; HR or otherwise. Certainly most companies have multitudinous policies; there are Company Policies written and disseminated by the fine folks in Accounting (A/P and A/R), Purchasing, Safety, IT, Security and even Marketing (“don’t talk to the media unless you are an authorized representative!”). There is, however, a special place of honor (or a special place in hell) reserved for human resources policies. These are the directives everyone is referring to when they say “it’s against company policy.” Oh sure, your Director of Accounting may have issued a 12 page Sarbanes-Oxley Compliance Policy but who, other than the rest of the accounting nerds, really knows what’s in it? But the HR Dress Code Policy? Policy #G1-325.17? Section C, paragraph (1), subsection (a)? You can be damn sure everyone can quote it section, line and verse. Why, I sometimes get to wondering, are human resources professionals so in love with writing, revising and adding more and more pages to the already lengthy manuals that grace our corporate offices? (“This shall be my magnum opus,” Pam whispered breathlessly as she put the finishing touches on the 2018 revision of Acme Corporation’s Handbook for Associates). Yes; you need policies. 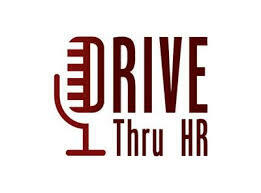 Good HR policies provide a foundation for you to outline behavior and expectations as well as communicate rights and responsibilities for your staff. Well written policies educate and clarify. Not every policy of yours has originated in a tranquil cabbage patch filled with bees and butterflies. Those bad policies, whether they be poorly written or just plain superfluous, need to go.